spread across the continental United States! They don't just ship from multiple locations, they also try their best to ship your order the same day you place it in most cases, so you will get your package as fast as the courier service can deliver it! Cash back is not available for Tires or Wheels. 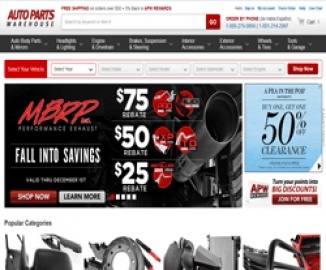 Click a Coupon or click Start Shopping to earn Up to 4.5% Cash Back at Auto Parts Warehouse.